THE FIRST FIFTY YEARS Our new film/book project. There is a core wound in the heart of America. The inspiring story of The First Fifty Years is shrouded in misinformation and mis-belief, leading to anger, blame, shame and guilt. Consequently, this nation is morally paralyzed. America was founded by visionaries, both European and Native, who articulated a vision for humanity in its freedom documents: The Mayflower Compact, The Declaration of Independence and the U.S. Constitution. America has yet to live up its promise. This project brings a healing perspective to America’s Origin Story. It brings honor to both the Pilgrims and the Indians. 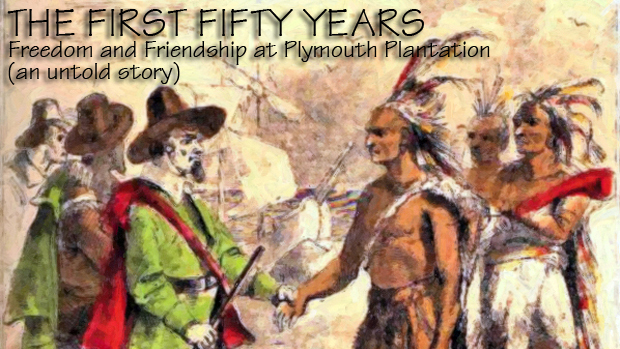 The extraordinary fifty-five years of inter-cultural peace and friendship between the Mayflower Pilgrims and the Wampanoag Indians exemplified the human potential at Plymouth Plantation, 1621-1675. This is where the first seeds of American democracy were sown. 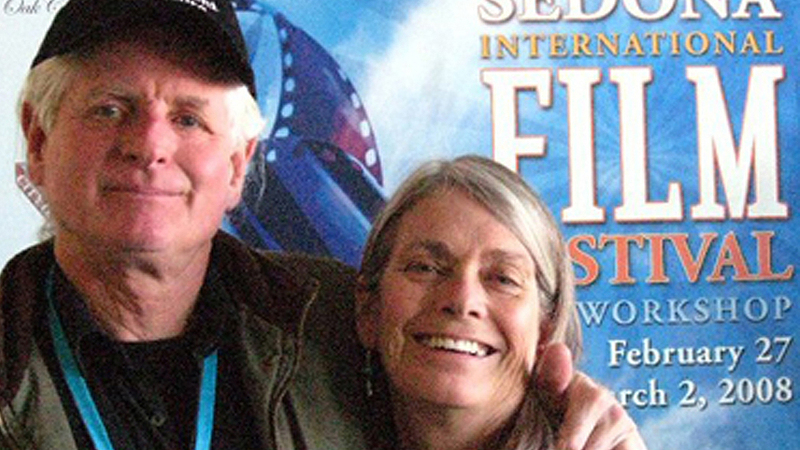 Filmmakers/Authors Andrew Cameron Bailey and Connie Baxter Marlow at the 2008 Sedona Film Festival. We have until January 19 to fund THE FIRST FIFTY YEARS. Please help us take a step on the high road to realizing the true American Dream: freedom, justice and abundance for all. To get there, we must first understand the significance of the Pilgrim, the Indian and the trust-based world-view that guided them. This entry was posted in Uncategorized and tagged Andrew Cameron Bailey, Connie Baxter Marlow, democracy, First50Yrs, Freedom and Friendship at Plymouth Plantation, Mayflower Pilgrims, The First Fifty Years, Wampanoag Indians. Bookmark the permalink.